How much support boomers provide their adult children is a key factor in their retirement preparedness, a report from Hearts & Wallets found. Only 21% of boomers supporting their adult children are retired, vs. 53% of those who aren't. How much support baby boomers provide their adult children is a key factor in their retirement preparedness, a report released Wednesday from Hearts & Wallets found. The “Dissecting the Baby Boomers” report found that while over a third of boomers overall are fully retired, only 21% of those who are financially supporting adult children are. Fifty-two percent of boomer households who have children they don’t support are fully retired. Over two-thirds of boomers have kids, the report found, and about a third are supporting their children, whether they are adults or minors. Nearly 8 million boomer households, which together control almost $4 trillion in assets, are financially supporting adult children, the report found. The study participants were born between 1946 and 1964. They were between ages 50 and 80 when the study was fielded in the summer of 2014. The report divided respondents into five cohorts, the two largest of which are not financially responsible for anyone else: Almost a third of boomers have financially independent adult children, and 35% don’t have anyone they’re financially responsible for. The smallest cohort was boomers who are supporting extended family members or friends, but no adult children, at 4%. Thirteen percent of respondents are supporting minor children, and 17% are supporting adult children, but have no other minor children to care for. Most cohorts’ biggest retirement fear is outliving their money, but those supporting adult children are most worried about simply saving enough to begin with. The report found that boomers who are supporting their adult children are 25% more likely to suffer greater financial stress. They’re also among the least likely to use a financial advisor. More than half said they were uncomfortable accepting volatility for a higher return. Among the boomers supporting adult children cohort, the survey found some correlation between retirement and age. A greater proportion of boomers with financially independent children are 65 or older (42% versus 17% of those who are supporting their kids) and are more likely to be retired (52% versus 21%). However, boomers who aren’t supporting other dependents, including children, are also more likely to be 65 or older (23%) and retired (37%). Boomers with children who were still minors were much happier, the report found. They enjoy thinking about finances and are more comfortable with risk. The survey noted that this trend could continue as the children of Gen X parents reach age 18. Furthermore, advisors might find it challenging to keep clients who have children focused on retirement planning. 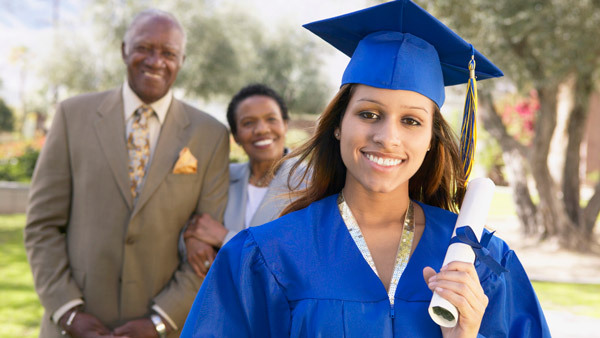 A survey released in March by T. Rowe Price found 52% of parents feel saving for college is more important than saving for retirement, and 53% were willing to withdraw money from their retirement account to protect their child from being burdened with student debt. —Read Obama Signs Student Aid Bill of Rights on ThinkAdvisor.